WP is the largest motorcycle suspension producer in Europe, and we chose their product for the Redshift due to their technical prowess and ease of tuning. WP competes globally at the highest levels of competition and that expertise combined with their willingness to try new things has resulted in the Redshift SM using WP SMR suspension built to our own spec as developed by the team here at Alta Motors. Brembo S.P.A. is the gold standard for high performance brake systems on motorcycles. Founded in 1961, the Italian company produces a range of products that can be found on motorcycles on the street and the trail. 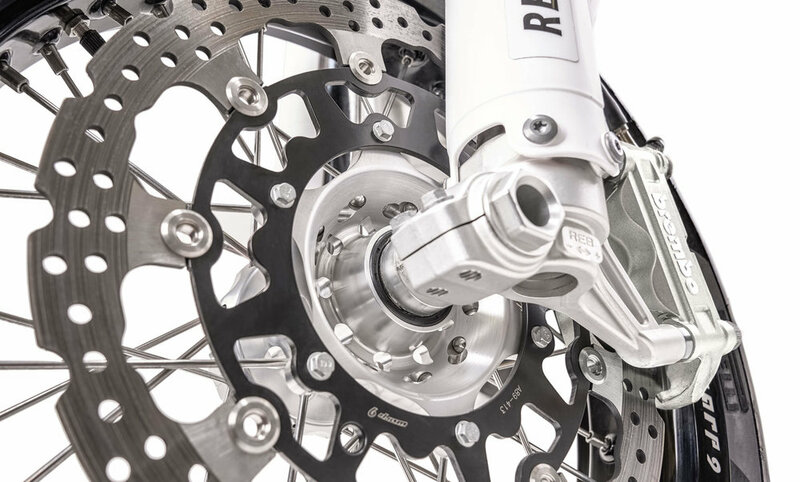 Both the Redshift SM uses cast and machined Brembo calipers.